Both kids are finally at the same school and are both now going for full days (until 3pm). 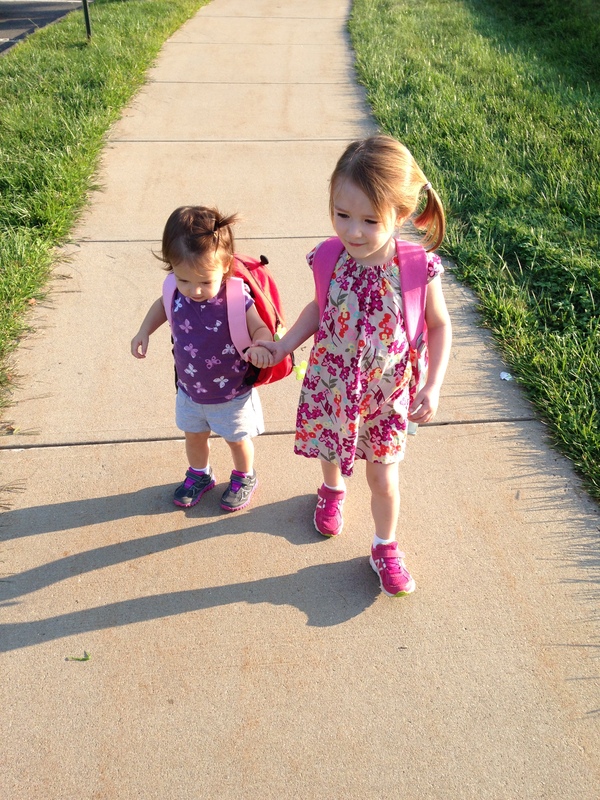 I am hoping that having them at the same place allows M to assume more of a “big sister” role. So far so good. 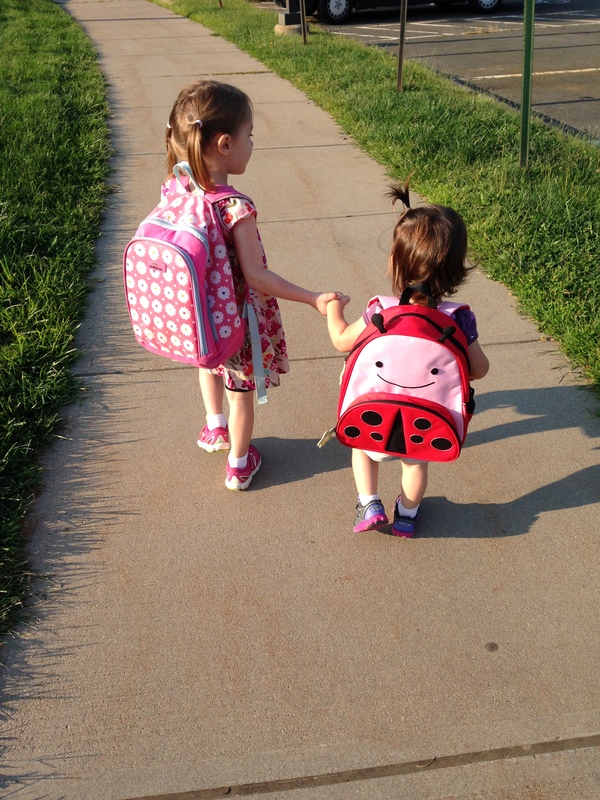 This entry was posted in Miss M., Miss S., Montessori, Sisters. Bookmark the permalink.